Biography - Be your true self! Gert-Jan de Hoon (1966) is an accomplished transformation coach, speaker and guide, author of A pilgrimage to Santiago, co-author of Walking in the Rain and founder of Voyage Beyond. His unique talent is to empower people in a very natural way into their own force and light. After his study of Communication Science, Gert-Jan made a choice for long and winding paths to unknown destinations, instead of a fixed career path. It brought him to China in the pre internet era (1991), he lived and worked in Uganda (Africa) and Spain, where he discovered the Camino. He traveled with groups in China, Nepal, India and Pakistan and fell in love with the Canadian wilderness during a wilderness guide course. His life journey learned him to listen to his intuition, being flexible, making contact on deeper levels, dealing with setbacks, keeping things simple, not giving up and living with passion. "I assist people connecting with themselves and their dreams." Gert-Jan is co-founder of Foundation Anders Bekeken. This foundation organizes and supports activities and projects for people with disabilities, to increase self-knowledge, self-confidence and self-acceptance as to get more direction over their own life. 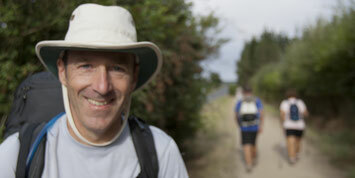 An example is Camino Walking Blind, a pilgrimage to Santiago with people who are visually impaired. 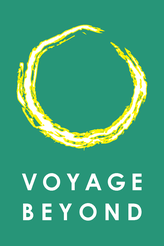 The logo of Voyage Beyond is based on Ensõ, a sacred symbol in the Zen school of Buddhism. According to Audrey Yoshiko Seo, author of Ensō: Zen Circles of Enlightenment, "Zen circles, ensō, are symbols of teaching, reality, enlightenment, and a myriad of things in between. Seemingly perfect in their continuity, balance, and sense of completeness, and yet often irregular in execution, ensō are at once the most fundamentally simple and the most complex shape." Ensõ refers to the beginning and end of all things, the circle of life and the connectedness of existence. It can symbolize emptiness or fullness, presence or absence. All things might be contained within, or, conversely, excluded by its boundaries.